This December, T/K and friends headed to the far north – Alpharetta, to be specific – for winter. Once a quarter, we gather to enjoy wine and good company at our Winepreneurs.Club meeting, a one-of-a-kind networking experience that sets our agency apart. At Winepreneurs, T/K mingles with local leaders who are looking to invest and expand their entrepreneurial footprint in Atlanta. Each event celebrates innovation, hard work and most importantly, wine. Though there is no secret handshake or emblem, this club is invite-only. T/K partners with Silicon Valley Bank, The Koblentz Group, Cherry Bekaert LLP, Savills Studley, Tier4 Advisors and Object Frontier Software to host each event. If you have ever had the immense pleasure of meeting me, then you know that these events combine two of my favorite things: wine and conversation. So naturally, as I learned more about the event, I volunteered myself to help organize, plan, and of course attend. Our December event was spent drinking and dining at Secreto, named one of Zagat’s Eight Under-The-Radar Restaurants to Try Right Now. Each Winepreneurs night we plan takes place in a different area of Atlanta. From Midtown to Buckhead to Sandy Springs, Winepreneurs.Club has left its mark in plenty of the metro area’s liveliest neighborhoods. Once the venue is selected, the fun really starts. 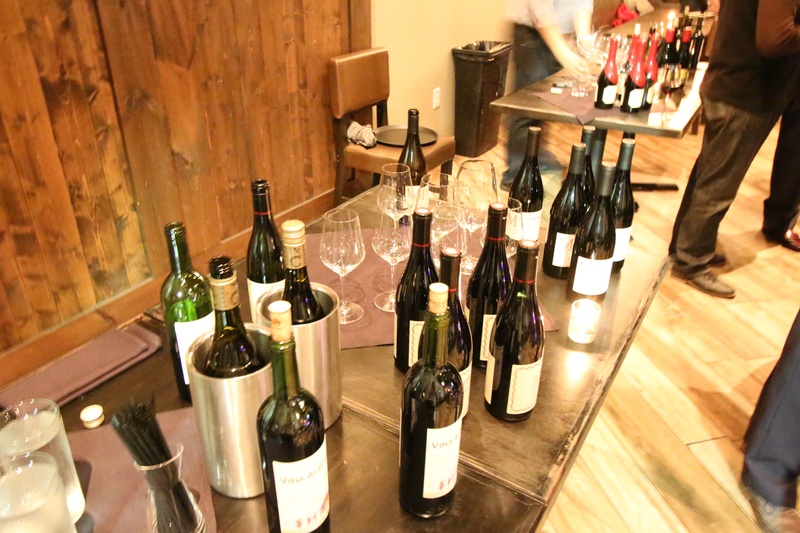 With the help of our wine experts, we hand-select bottles to be featured as the tasting wines. With a growing number of startup companies headquartered in Alpharetta (or the “Other A” as they call it up north), we decided the city was the perfect place for Winepreneurs.Club to convene for the holidays. Secreto offered us smoked bacon jalapeno gravy, which is heavenly when paired with their buttermilk mashed potatoes. Add a Hall Winery cabernet to the mix and you have sheer perfection. So, if you ask me, Secreto won’t be “under the radar” much longer. As always in Winepreneurs.Club, we are already off to the races planning the next event that will kick off the new year because, in this club, we never stop thinking of new ideas (or our next glass of wine).